Founded in 1864 and located in the rolling hills of Vermont's Champlain Valley, Consider Bardwell Farm is a three-hundred acre highly-awarded pasture-based farm, dairy and creamery producing artisanal raw cow and goat milk cheeses and committed to sustainable farming practices. The farm was originally built by Consider Stebbins Bardwell, founder of the first dairy cooperative in Vermont. Small local farmers sold their milk to Consider Bardwell Farm who then made the cheese and sold it as far away as New York City. Now, over 150 years later, Angela Miller and Russell Glover are maintaining the traditions of the original farm with the support of neighboring farm partners, Wayward Goose Farm and Indian River Farm. Consider also practices sustainable dairy which means cows and goats graze on rotational schedules, fertilizing the soil and supporting indigenous varieties of grass. They proudly boast that they are Certified Animal Welfare Approved, the well-being and health of their animals a top priority. All of their cheeses begin with the best, fresh sweet and rich milk from animals that graze on organic, pesticide-free pastures. And it shows. 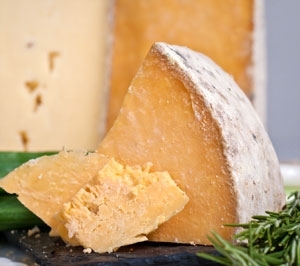 Consider is the recipient of no less than 19 American Cheese Society awards, 3 World Cheese Championship winners, 3 U.S. Cheese Championship awards and 1 World Jersey Cheese Championship award. 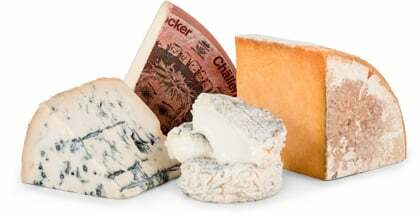 All have natural rinds, are made with natural rennets, and have fun animal shapes pressed into the rinds. This is the real deal. A semi-firm, washed rind cheese aged 5 months, Pawlet is unquestionably one of Consider Bardwell Farm’s most popular cheeses. It has a warm buttery-yellow, creamy paste and presents lactic and herbaceous aromas. The flavors are mild, sweet, grassy, a touch floral and nutty. Overall, we find it very balanced and savory. Consider recommends eating Pawlet with whole grain mustard, toast, and a wheat beer. It’s a sound table and snacking cheese that would also pair nicely with olives and crackers.